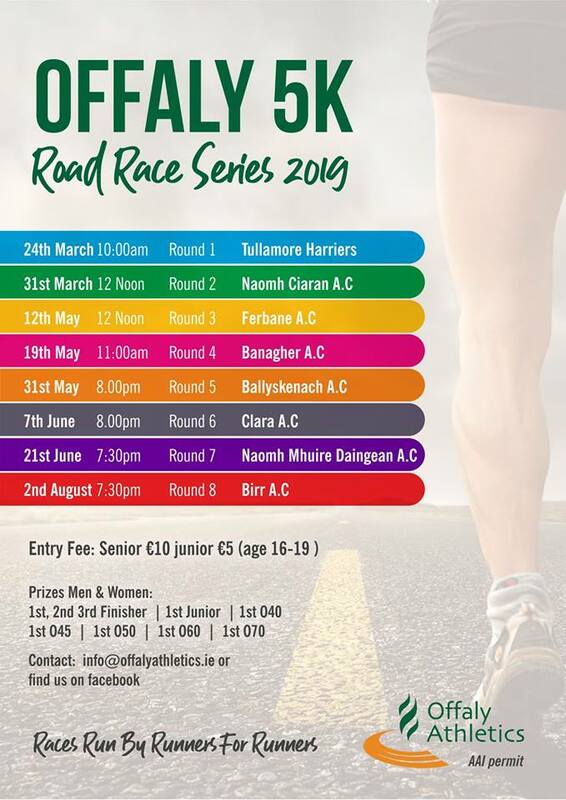 The Tullamore Harriers AC 5k Road Race returns on Sunday 24th March 2019 at 10am. 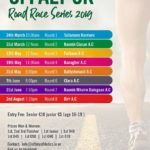 This is the first race in the 2019 Offaly Road Race Series. Entry fee €10 plus booking fee. Prizes for 1st, 2nd and 3rd finishers, Male & Female. Age category prizes for 1st O40, 1st O45, 1st O50, 1st O60 and 1st O70.